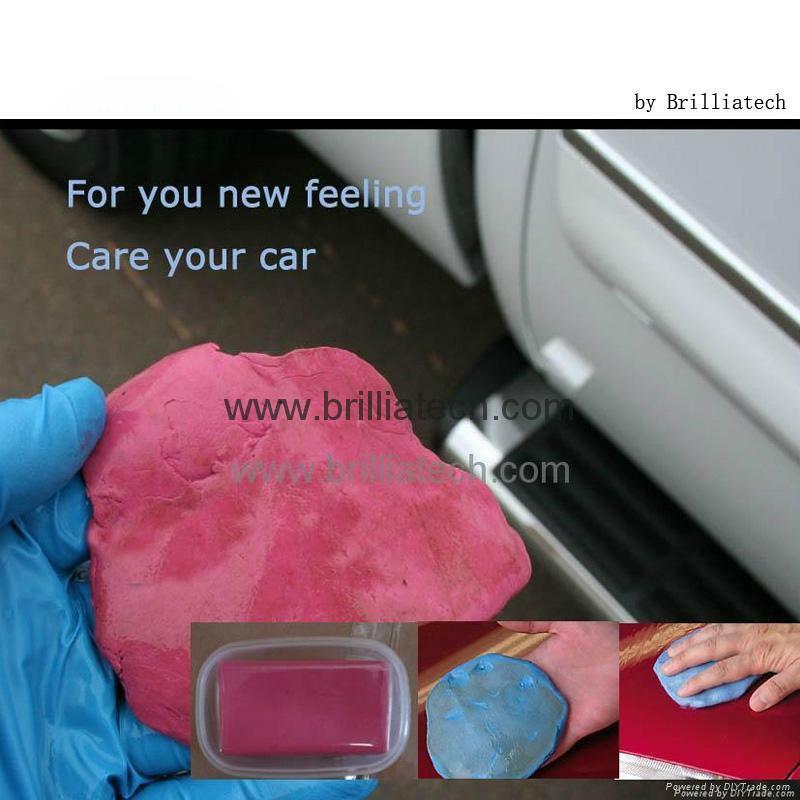 Brilliatech have been doing car care and washing item for more 8 years; it is not only developing, producing the items; also have professional laboratory to test the items; try to best items for you. To deep clean pollutants from car finishes without using strong, acidic chemicals or harsh abrasives. 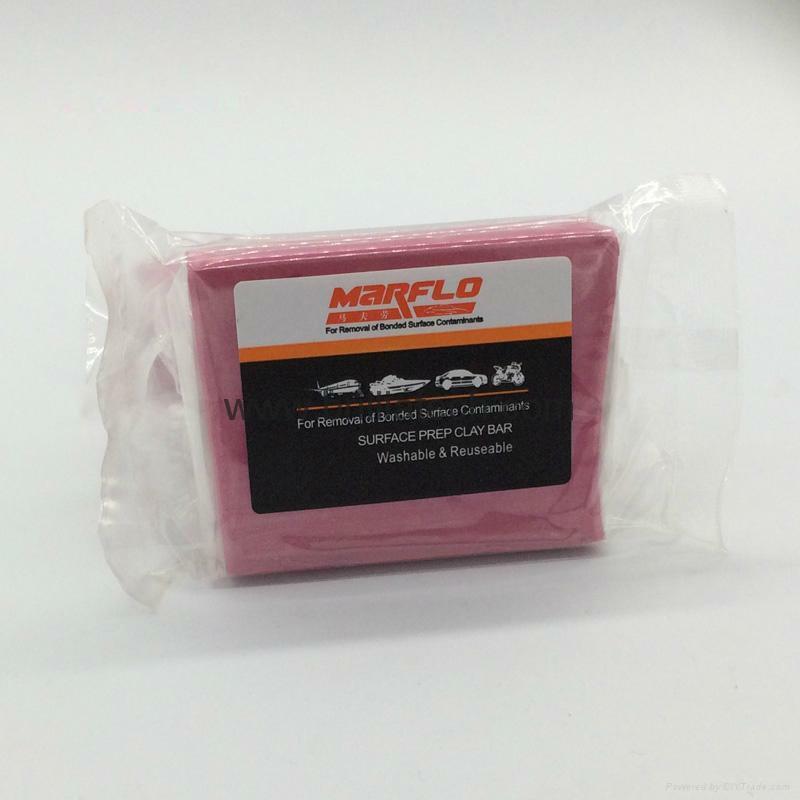 Safe product that will remove Industrial Fallout and also known as Rail Dust. Effective in removing paint over-spray. Easy to using, do not need any other cleaning aqua (dosage). For you news feeling, care car body. 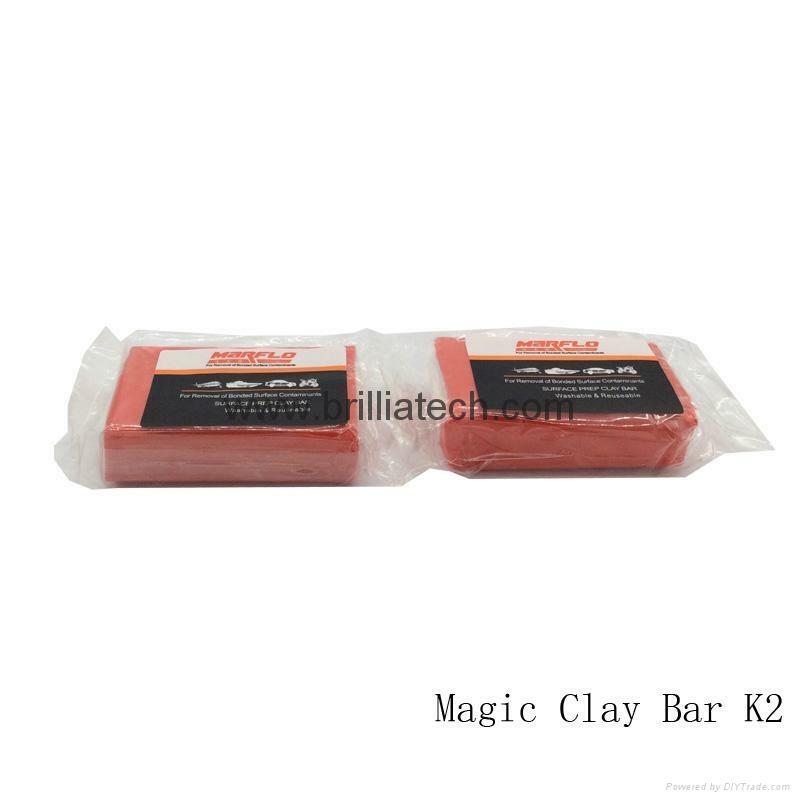 Use Magic Clay Bar easy and sfety!!! Which can be described as orange or brown dots, that most white car owners see and many other car colors simply hide. 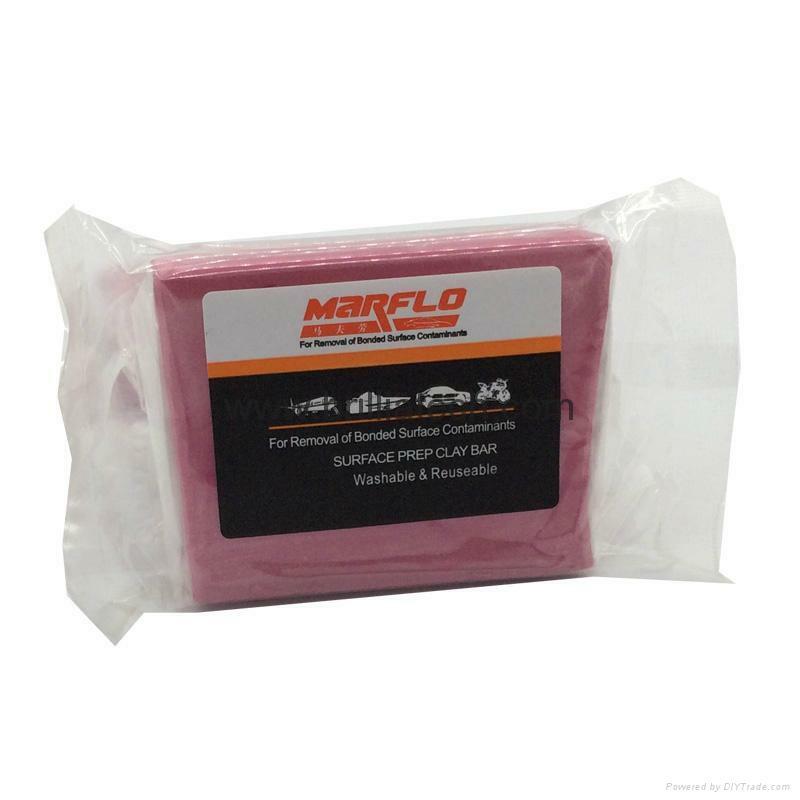 So it instantly removes the environmental contaminants (fallout or rail dust) which can deteriorate a vehicle's finish. 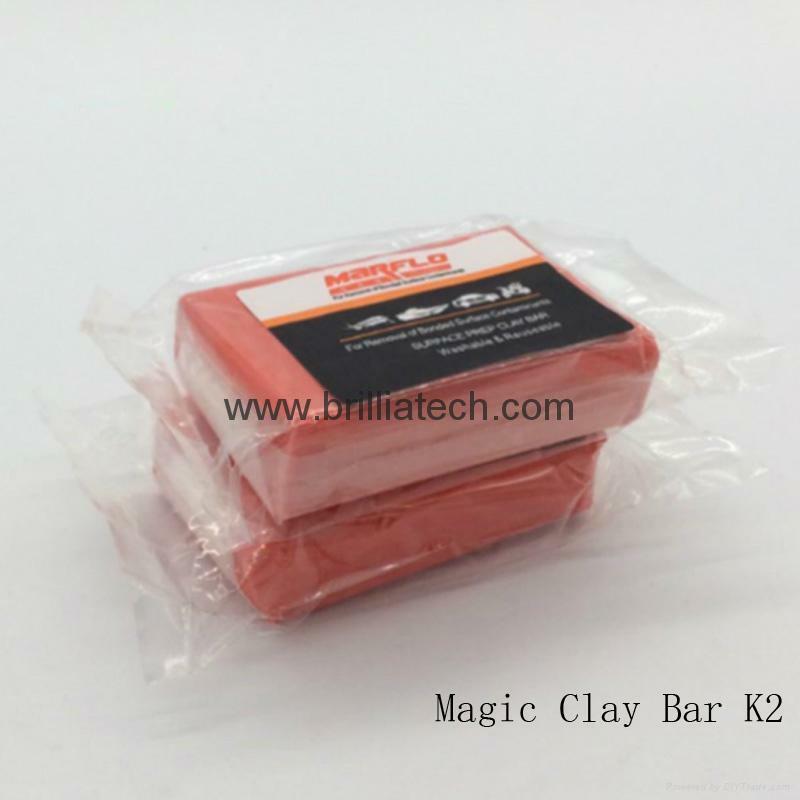 MARFLO magic clay bar made by Brilliatech; it is easy to move it, letyour car smooth and shine agian. Accept custom service: OEM ODM welcome!! if you want to different color of edge, please let us know. we try do Mini-order for you. 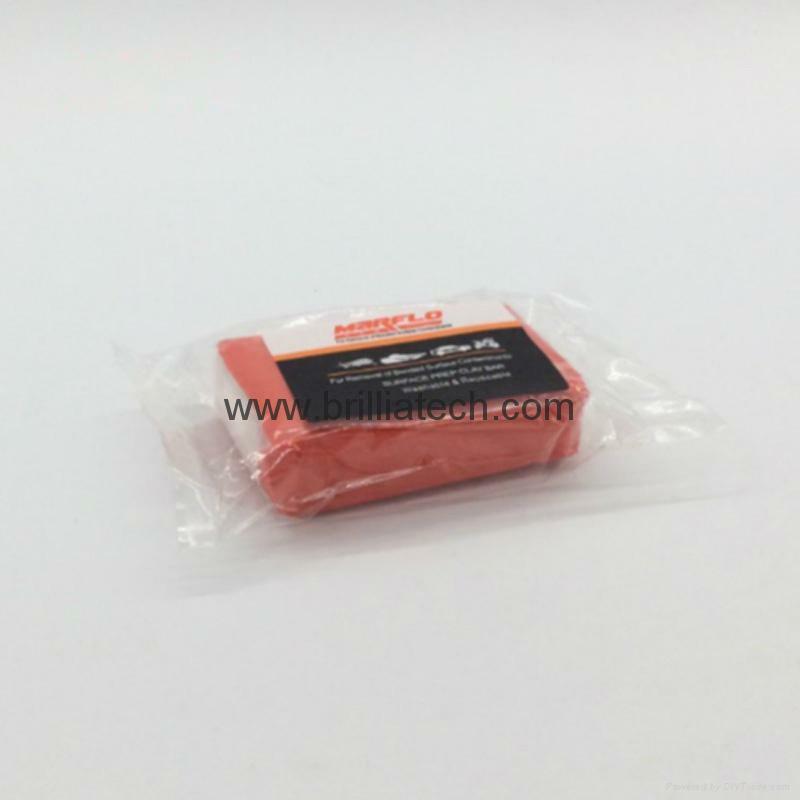 It works fast and achieves professional results utilizing the advanced polymerused rubber technology. It leaves surface as smooth as glass. 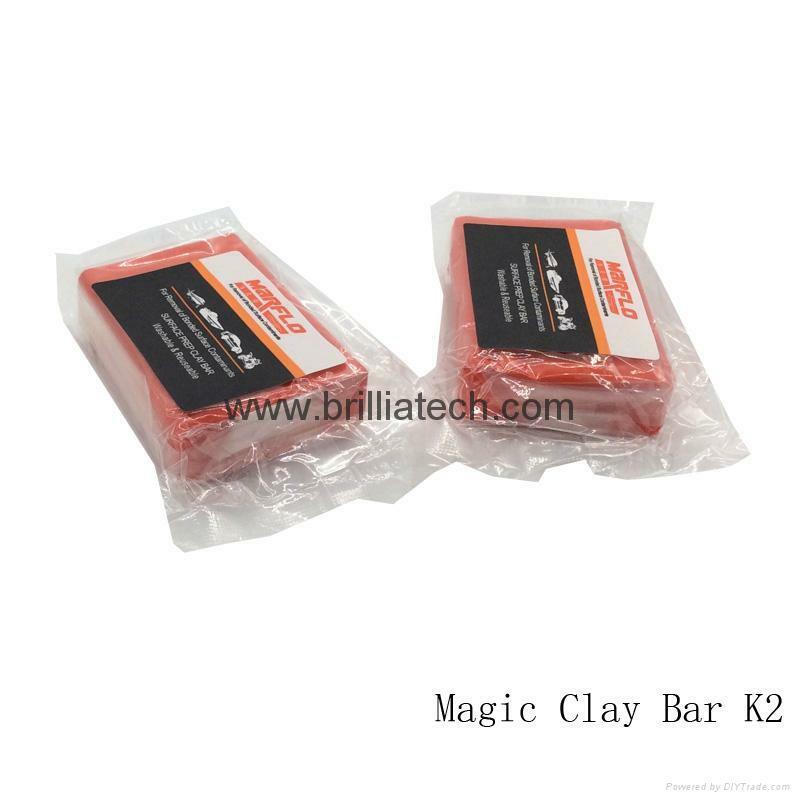 it is easy to use and requires very little effort as well as long lasting. Wash it with water before firest use. To wipe the surface untill the contamination is removed. Keep out of direct sunlight. To store it at room temperature. Spray water over thepanel to be treated and the magic clay bar. To wipe the surface untill the contamination is removed. Keep out of direct sunlight. To store it at room temperature.